You may have already heard that the Dallas Cowboys will be flush with salary cap space in 2019, but what you may not have heard is that a huge portion of that is due to the expiration of dead money. In 2018, the Cowboys took a cap hit of over $30 million in dead money, which is typically money already paid out but not yet accounted for in the team’s salary cap. Quick explanation: dead money occurs when a player is released or retires prior to the expiration of their contract. Often times, a player is paid money at the beginning of a contract that has to be accounted for on the salary cap. This is common with signing bonuses that are paid up-front but prorated over multiple years on the team’s salary cap. Another common scenario is when restructuring a player’s contract, which converts current and future base salary into one or more bonuses paid up-front and prorated over multiple years on the salary cap. That plus guaranteed money on the contract still have to be accounted for even after a player retires or is released, which makes it dead money – cap space occupied by a player not on the roster. For example, when Tony Romo retired after the 2016 season, he still had $19.6 million in prorated bonuses to be accounted for. That money was all a “bonus” paid up-front to Romo at his last contract restructure. Dallas chose to split the cap hit for that bonus over two years and thus had cap hits of $10.7 million in 2017 and $8.9 million in 2018. Dead money accounted for a lot of the team’s cap space in 2018, including Romo’s, Dez Bryant’s, and several other players’ contracts. Those nine players alone account for a little over $28 million in dead money. Another $4 million or so came from over 30 players with lesser hits, though they add up fast. Right now, the Cowboys have just under $2 million in dead money for the 2019 season, a significant chunk of that being from the $1.6-million hit remaining on Orlando Scandrick’s contract. The enlarged cap space of the 2019 Dallas Cowboys – which presently stands at around $54.6 million – will be a tremendous help as they have some major financial moves coming. They need to re-sign DeMarcus Lawrence, deal with a salary bump for Amari Cooper, and consider a contract extension for Dak Prescott, among others. The 2019 cap number will change, of course, as the offseason rolls on. If Dallas elects to release players like Sean Lee, Tyrone Crawford, and others, the dead money hits in 2019 and beyond will increase. However, those hits will be offset by whatever cap savings motivated the moves in the first place. This is a good reminder of why the Cowboys’ new era of fiscal conservatism is a good thing. After years of what felt like perpetual “salary cap hell,” they’re finally getting out from under those contracts and have complete flexibility this offseason. They may not even need to cut a guy like Crawford, who they almost would have been forced to release in seasons past with his current cap hit. We’ll be talking a lot more about individual players and their contracts in the weeks ahead, but this summary helps us see that Dallas isn’t nearly up against the financial wall they have been for so long. 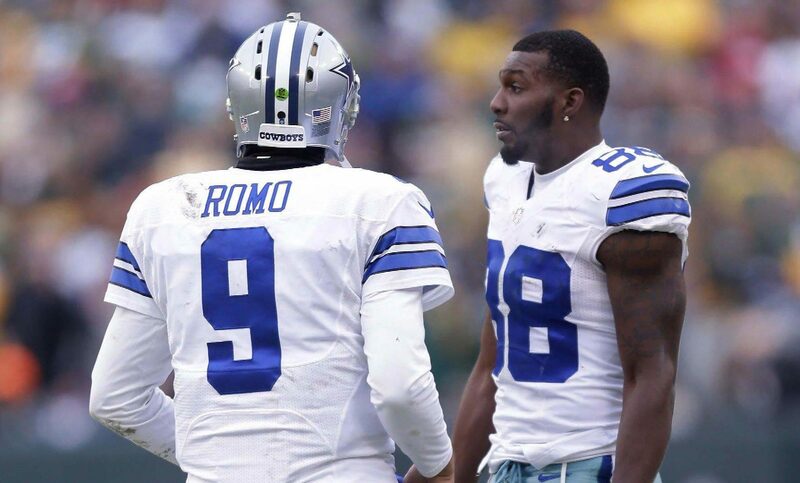 We still miss guys like Tony Romo and Dez Bryant, but we won’t miss the dead money they left behind.